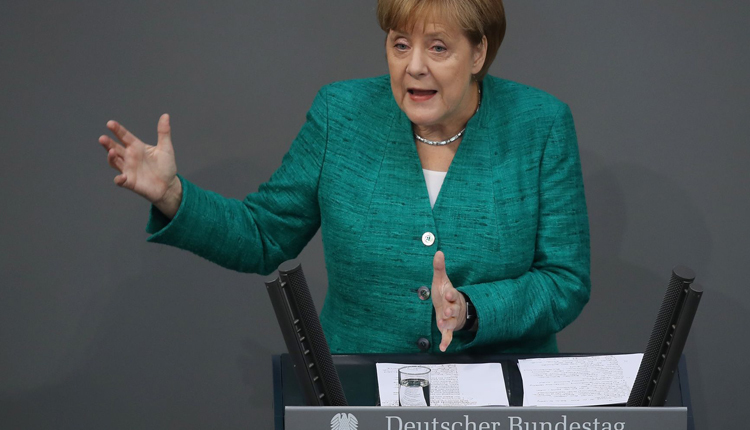 Top German officials on Wednesday called for concerted global efforts to prevent chemical weapons being used in Syria, as conservative chancellor Angela Merkel said Germany could not simply look away if such attacks took place. Foreign Minister Heiko Maas said diplomacy was the top priority to prevent the use of chemical weapons in Syria, but Defence Minister Ursula von der Leyen said a “credible deterrent” was also needed. The German government said it was in talks with the United States and other allies about possible participation in military intervention in the event of such an attack in Idlib, the last major rebel-held enclave, which is under heavy bombardment. It did not participate in military strikes by U.S., French and British forces on Syria in April after a chemical weapons attack – which the United States has pledged to surpass if Syria uses chemical weapons again. To join such action, Merkel and her conservatives would need to win over Maas’s more pacifist Social Democrats (SPD), junior partners in the ruling coalition, and overcome poll numbers that indicate 74 percent of Germans oppose such action. U.N. investigators said on Wednesday that they had documented three further uses of banned chlorine weapons by Syrian government forces that constituted war crimes, and urged major powers to help avert a “massacre” in the final battle for Idlib. Maas told the news agency dpa that Germany would decide autonomously whether to participate in any military action in line with its constitution and international law, and any action would be discussed with lawmakers. After categorically rejecting any military action on Monday, SPD leader Andrea Nahles appeared to soften her position, telling lawmakers her party would not agree unless the United Nations authorized such action. Participation in any air strikes in Syria would put Germany on a collision course with Russia, the main backer of President Bashar al-Assad.